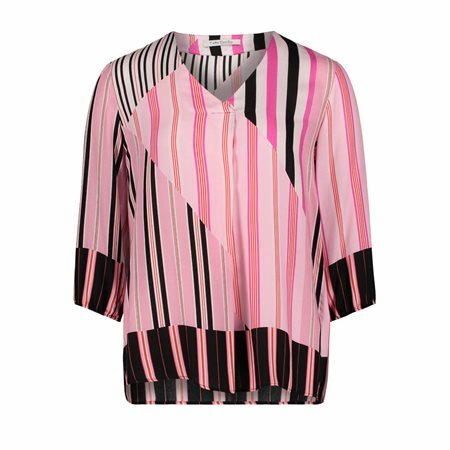 Aim for a look that allows you to both dress up or down with this Betty Barclay Blouse. Offering a relaxed loose fit and a vibrant striped pattern that is finished with a flattering v-neck. Look to tuck into a pair of mid rise trousers for a combination well suited for the working week.